After nearly two decades of appropriating the Internet’s virtual public space, people are once again taking to the real public space of streets and squares to voice their opinions. Recent political movements like the Arab Spring and Occupy have led to a revaluation of public space by citizens and institutions alike. It has become a contested commodity for different interest groups, from protesters fighting for equality to sports and music events, art shows, and commercial advertising. The questions of who owns public space and how we negotiate its use are therefore at the heart of great political and public interest and debate. 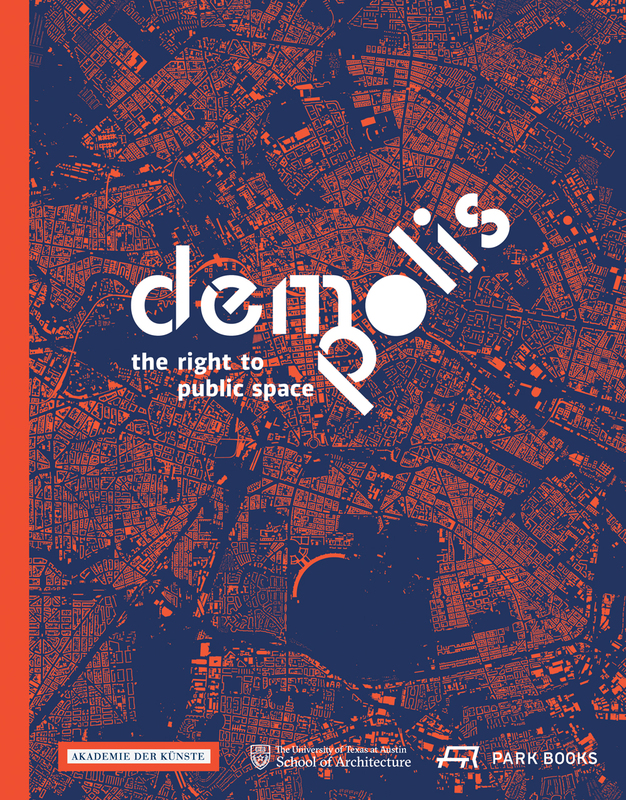 DEMO:POLIS draws on architecture, sociology, and urban studies to offer a dynamic interdisciplinary exploration of the contemporary meaning of public space. Featuring exemplary projects—such as the High Line and Brooklyn Bridge Park in New York, Alexanderplatz and Tempelhofer Feld in Berlin, Trafalgar Square in London, the Le Ventana de Mar park in Puerto Rico, and Madrid’s Campo de Cebada—as well as a range of recent, at times controversial, artistic and urban design interventions that reflect criticisms of the status quo, the book delves into various approaches to the design—and redesign—of public space. As its political, social, and cultural value rises, citizens increasingly demand to have a voice in the discussion on how to design and use public space. Innovative tools and approaches facilitate these participatory processes, constituting a new dimension of democratic stake holding—urban design for, with, and by the public.